Beautiful home decorating starts here with DOTI. Our residential design firm is located in the beautiful beaches area of Jacksonville FL. 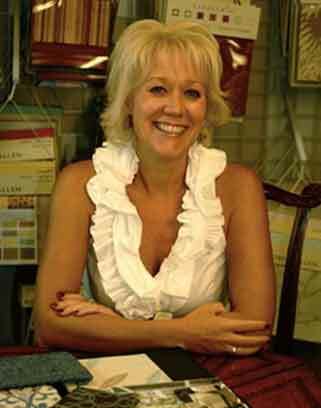 The DOTI team is led by award-winning Interior Designer Michele Evanger. Michele has a B.S. in Interior Design and has been a passionate design geek her entire life. In addition, she has directed more than 1,500 residential and commercial design projects in 16 states and internationally during her career. Designs Of The Interior (DOTI – pronounced “dottie”) has designed thousands of homes. We’ve created fabulous interior spaces spanning many design styles. Because we like to stay ahead of the trends, we have also worked closely with the American Society of Interior Designers (ASID), Interior Design Society (IDS), International Interior Design Society (IIDS), and National Kitchen and Bath Association (NKBA) over the years. As true design aficionados, DOTI will continue to stay in the forefront of Interior Design. We specialize in residential Interior Design and assist clients with a variety of budgets. As true Interior Designers, we have designed it all…home, condo, beach house, or vacation home. Above all, we will help you pull together the pieces you have to create the look you want. DOTI combines design style with our curated network of more than 200 home décor manufacturers. As a result we bring you beautiful & unique products. Because of this, we can show you furnishings that are not typically found in the local shops and furniture stores. In conclusion, let us inspire you too…it’s easy, just email us! Designs Of The Interior offers beautiful home decorating in Jacksonville FL. Our clients live throughout the Jacksonville area including San Marco, Ortega, Ponte Vedra Beach, Jacksonville Beach, Atlantic Beach and Nocatee.